When former Wrangell mayor Bruce Harding invited me into his office to “talk” about my reason for infiltrating this tiny town of a few thousand, I knew I’d met my mental match. 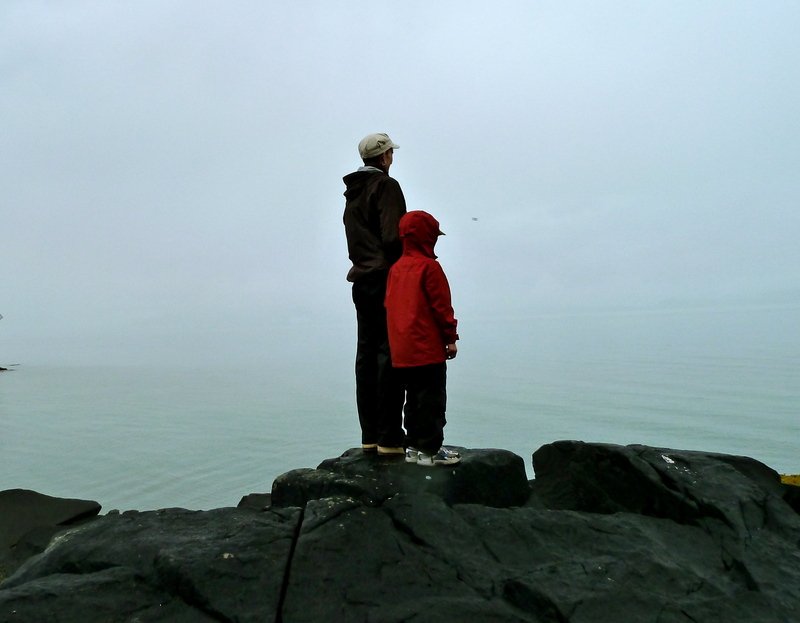 Many journalists come to Wrangell, said Bruce, but few actually end up writing about it. But then, he conceded, not many are actually from Alaska. 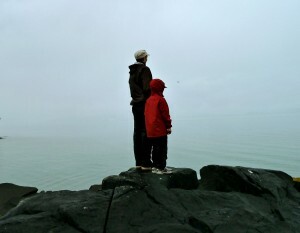 On my family-travel-honor, I promised, I’d write up something fine about Wrangell, already knowing exactly what to say: Just go. We relished every day in this southeast Alaska community 90 miles north of Ketchikan, near the mouth of the Stikine River. Snuggled tight in Reliance Harbor, Wrangell is as friendly as it is authentic, and a family vacation stopover here is well worth the time and effort. 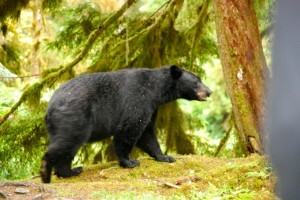 Not a hugely popular cruise ship destination (thankfully, according to the locals), Wrangell relies upon their famous outdoor recreation opportunities of bear-watching, fishing, flighseeing, hiking and such to boost tourism numbers. You’d never know it, though, as Wrangell manages to keep things fairly understated, unlike some other southeast Alaskan ports. 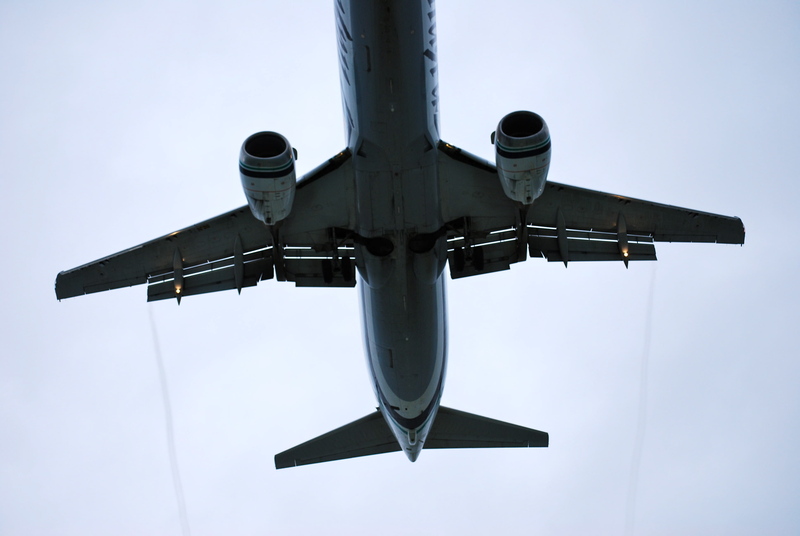 An Alaskan Airlines jet roars overhead on its way to the Wrangell Airport. We arrived in Wrangell via the Alaska Marine Highway, but many visitors also arrive on one of the thrice-weekly Alaska Airlines jets, making this city more accessible than others along the Inside Passage. Everybody knows when the ferry is due, and local hotels, B&B’s, and other places of lodging will meet the boat to transport to and from their business, a nice touch for those traveling without wheels (many, actually). One notices almost immediately the cultural connections in Wrangell. Actually the only town in Alaska to be ruled by four separate nations (British, Tlingit, Russian, and United States), Wrangell ended up the pinnacle of influence from each. Walking the downtown area is the best way to capture this richness, beginning at the ferry dock, where a little road no wider than a city sidewalk winds along the waterfront to City Dock and Front Street. Follow city signs to the newish Nolan Center and the beautiful Wrangell Museum, a block from the cruise ship dock. This museum is small but packed with interesting and interactive exhibits that explain history and industries of Wrangell. 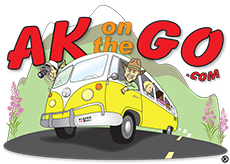 Kids will enjoy rubbing their own petroglyphs using tools borrowed from ideas of ancient peoples, and adults will relish the wonderful vintage videos of Wrangell over the years. 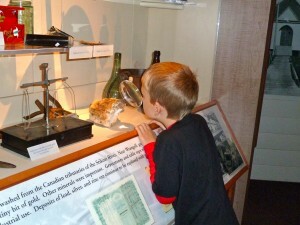 AK Kid checks out the Wrangell Museum. Gold! The site of three gold rushes, Wrangell provided the first route to the Klondike in 1897-98, with endless sternwheelers plying the waters nearby, packed with hordes of gold-seekers. Even famous sheriff Wyatt Earp played a part in Wrangell’s history, even though he found Wrangell to be too tough even for him, and only agreed to enforce law and order for a brief ten-day period. Make no mistake, Wrangell was as rough around the edges as an old tin can, and those who settled here proved themselves worthy of the hardiness required for Last Frontier living. 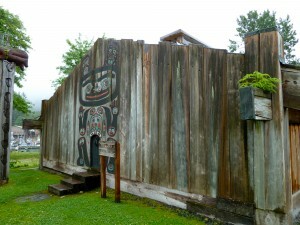 Chief Shakes House near the Inner Harbor of Wrangell. The Tlingit Nation, too, provided an interesting component to life in Wrangell. Residing in the area for the fabulous fish and berry food sources, the Tlingit established the greater Wrangell area some 8,000 years ago, taking advantage of the unique setting and bountiful provisions from Mother Earth. Wrangell provides some fabulous examples of early Tlingit life, including the Chief Shakes Tribal House, located on tiny Chief Shakes Island in the Wrangell inner harbor off Case Avenue and Shakes Street. The Wrangell Visitor Center can provide a schedule of tours inside this ancient building, but everyone is welcome to walk the property at other times as well. Shadowy totems stand guard over this weathered clan house sitting all alone on the island, and each tells a story. See if your kids can spot the unique animals in the totems, it’s not as easy as it looks. Found one! 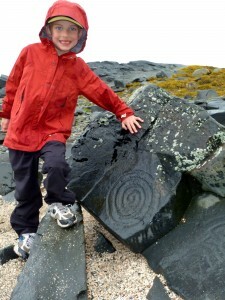 More than 40 petroglyphs can be found at Petroglyph Park in Wrangell. A wonderful hike for families is located at Petroglyph Beach State Historical Park west of town, within walking distance or an easy taxi ride (most tour operators will swing by there, too). Along the rocky beach lie over 40 petroglyphs carved, for whatever reason, into the rocks, a mystery explained by the wonderful interpretive display at the overlook deck. A wonderful treasure hunt for kids, Petroglyph Park combines beachcombing with an anthropology lesson, and AK Kid had a blast searching for, and shouting about, each new find. The best time to visit Petroglyph Park is at low tide, ask at any of the local stores or in the Visitor Center when that might be, and head on out with your raingear, sturdy shoes, and camera. Anan Wildlife Observatory provides up-close bear viewing and some heart-stopping moments, like when this sow crossed our path. 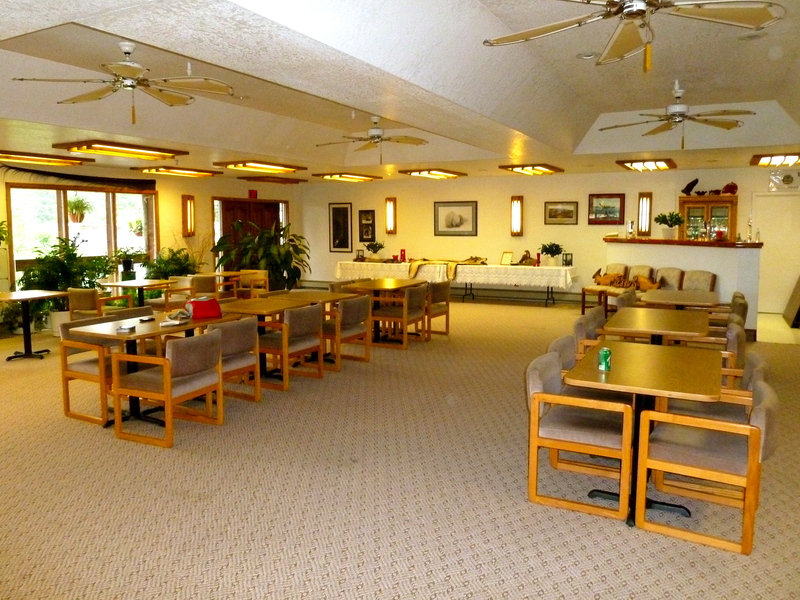 Stop by the Sourdough Lodge for great hospitality and clean, comfortable rooms. Lodging in Wrangell is fairly simple. We stayed with Harding at his Sourdough Lodge, a roadhouse sort of establishment off Case Avenue near the Inner Harbor. We liked the Sourdough for a number of reasons; the family-style meals encouraged chatter among guests, and the Alaskan no-nonsense hospitality of Harding and his wife, Dar felt like we were visiting a relative’s home rather than a hotel. I loved sitting in the spacious dining area, sipping coffee and listening to the excited voices of other guests as they came dripping in from a day spent in the woods or on the city’s sidewalks. Harding includes breakfast in his rates, and will offer lunch fixings and dinner for $10 and $20, respectively (kids are half-price). Nobody seemed to mind AK Kid showing up for meals in his socks, and although he was the only youngster in the place, it was not hard to keep him busy, with plenty of space for game-playing and cuddling on the comfy sofas. It’s quiet here in Wrangell. People do not mind sharing their favorite destinations for family fun, even with a bunch of tourists. 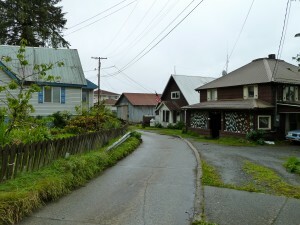 We appreciated the ability to walk along the street, splashing in puddles and breathing in the air of a southeast Alaska town that has, thankfully, remained real. Thanks, Bruce, for reminding me. Posted in Alaska Marine Highway, Miscellaneous, Southeast Alaska and tagged Wrangell.